Small - $49.99 Medium - $49.99 Only 4 left! Alright! Are you ready to make the most spectacular entrance into a party that anyone has ever witnessed? 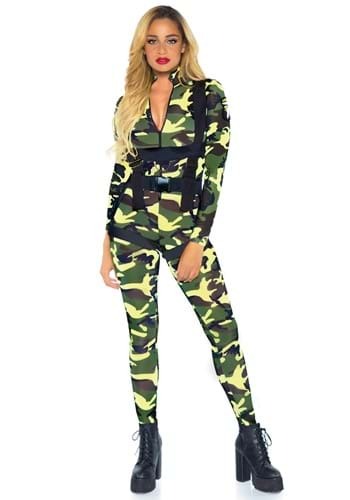 All you need is a military-grade chopper, a year or two of training under a professional parachutist, your very own parachute, and this Pretty Paratrooper Costume! Oh, and yes, this may be a bit on the expensive side, but explosions of fireworks always make everything more exciting and entertaining… just a thought! With all of that and a little thing called “perfect timing”, you’ll be able to make the grandest entrance at any costume party you plan to attend this Halloween. It's absolutely perfect! Fits exellent and looks fab!